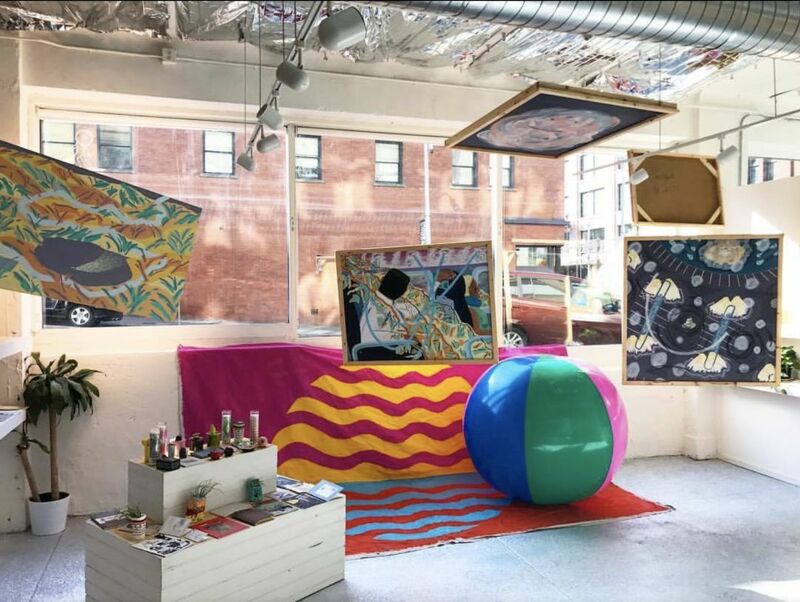 May is the Pioneer Square space’s last month as an art gallery. But the project will live on as a freewheeling print magazine. Mount Analogue during an exhibition by Forrest Kahlil Perrine. "At the heart of the project is the idea of transformation,” Colleen Louise Barry says. She’s talking about her creation, Mount Analogue, which currently holds the mantle of Pioneer Square’s least definable art gallery, hosting performance art, guest curated shows, physical poetry installations, a pop-up wedding chapel. Currently you can see the self-explanatorily titled Women. Weed. Wifi: Sanctuary of the Modern Divine Feminine. Next month Forge. Art Magazine will guest curate a group show in the space. After that Mount Analogue, as a physical space, will close. But the name and project will continue as a quarterly magazine. Mount Analogue will be nationally distributed and change fundamentally each issue. For the first, currently planned for October, she’ll give four artists blank magazine layouts and let them fill in the content. “And we’re just going to put it all together and see what happens.” Another issue she plans to distribute only in doctors’ offices, to see how context shapes content. “One of the first issues I’m planning is reprinting a Vogue from the 1970s in its entirety.” Are you allowed to do that?